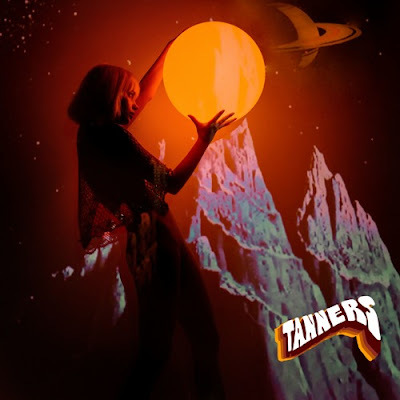 Home / brand new / música / Tanners / Tanners Unveils New Single "This Crazy"
Tanners Unveils New Single "This Crazy"
Brooklyn-based psychedelic pop artist Tanners has just unveiled her brand new single This Crazy, taken from her self-titled debut EP, out now. The groovy guitar riffs were what drew me in to this song. They are so cool and give the song a super confident attitude. I am loving the energy of the song with awesome synths and 70's/80's inspired electronic sound. Her nostalgic vocals are very smooth, giving the song that nod of dreamy and psych vibe. Overall This Crazy is quite a lovely listen and I am sure you'll love it! If you're into beautiful electro-pop music with killer synths and a touch of psych then you'll love her self-titled EP. My favourite songs are Holy Water, Empress In Reverse and What You've Been Waiting For. Stream the full project below!